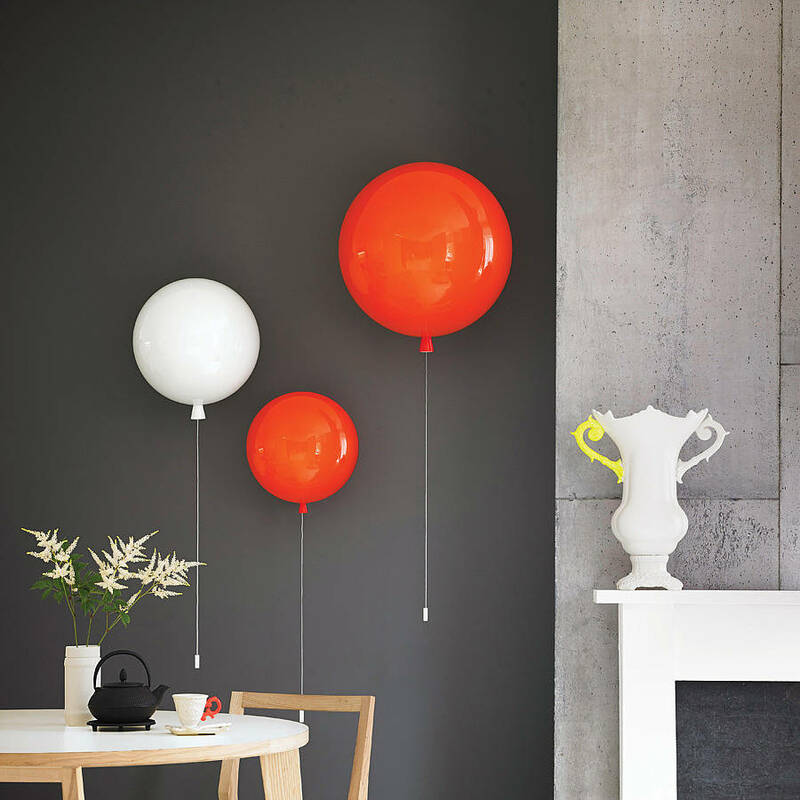 A unique balloon light suitable for wall use. 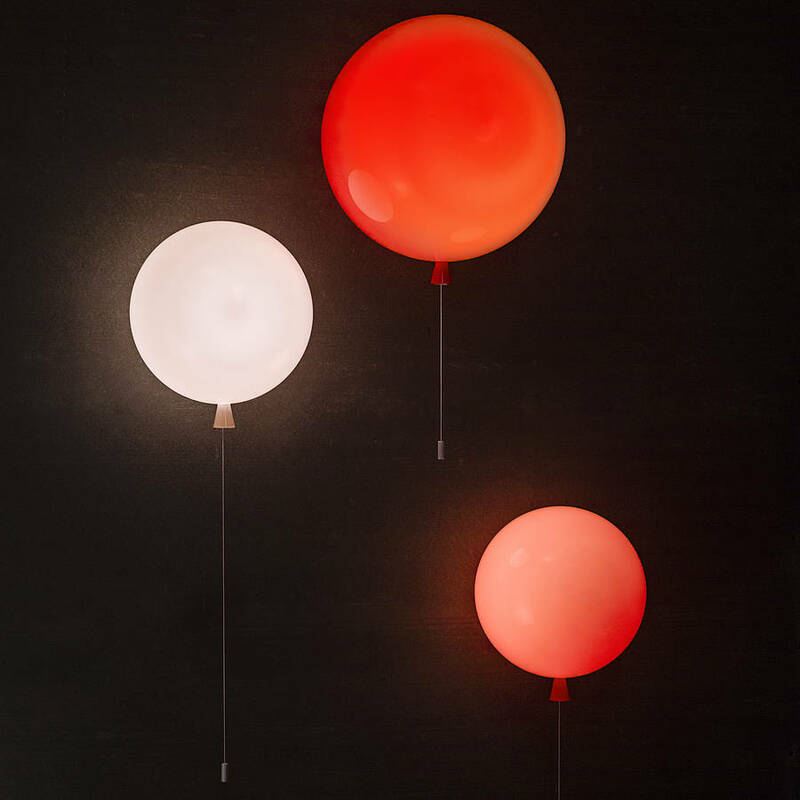 The Memory Balloon is a light inspired by memories of childhood, and is perfect for a child's room, nursery or anyone with a sense of fun! 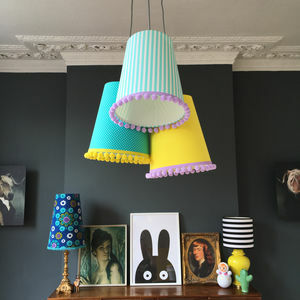 Our most fun light has to be this one! 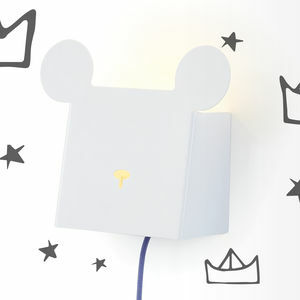 Take yourself back to those simple times with this playful light. 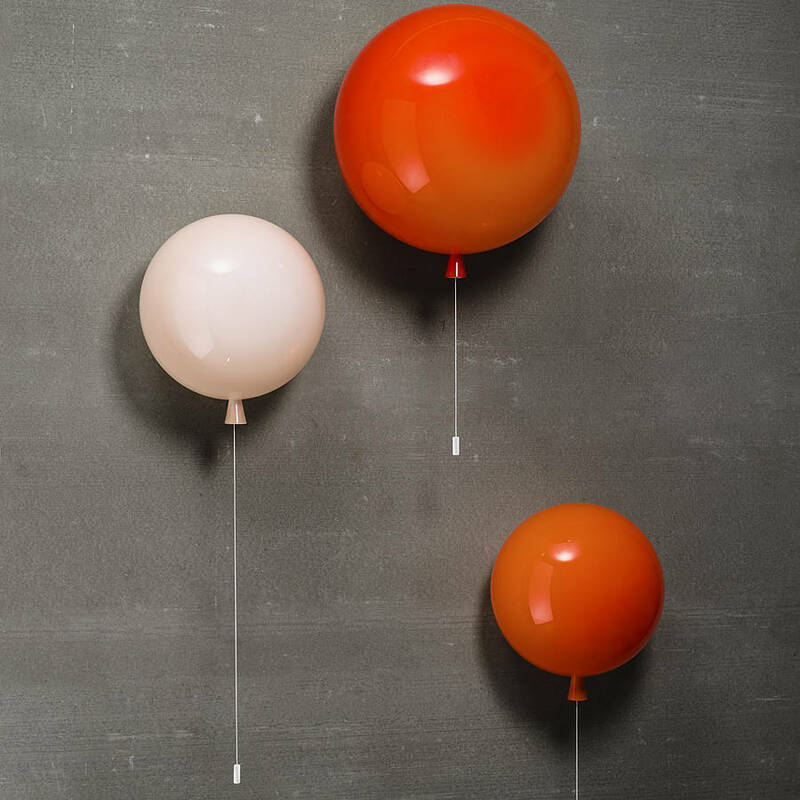 This is one balloon that won't float away, allowing you to enjoy the lighting and charming presence any time. 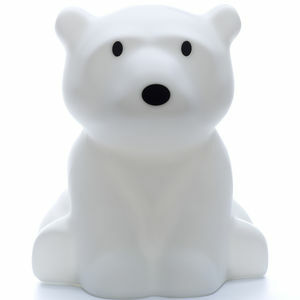 Available in eight glossy glass colours: red, green, orange, blue, turquoise, grey, yellow and opal. Available three sizes: small, medium and large. Please select which colour and size you would like from the drop down option menu. Please note, if large is selected, delivery may be delayed. Made from triplex glass, these lights are individually hand blown in the Czech Republic by Brokis and brought to you by John Moncrieff Lighting. Due to the hand made nature of the product, there can be colour dilution and variation or small bubbles within the glass. 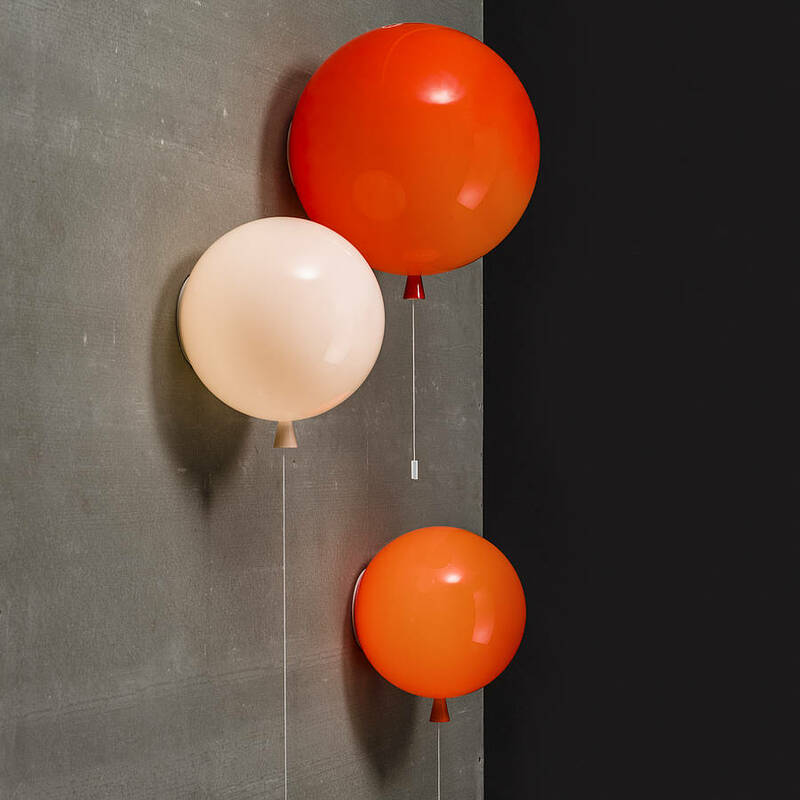 The Memory Balloon Light requires a standard bulb, and comes with a ceiling plate which can be screwed into the ceiling using standard size screws as with any other ceiling/wall light. Standard screws and bulb not included . 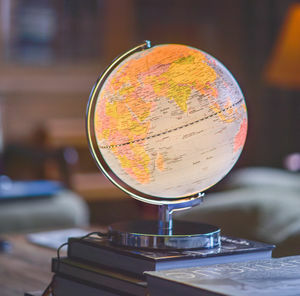 We do recommend that all wiring be done by a qualified professional and/or checked by a registered installer/ local authority in compliance with Building Standards (Scotland) and ‘Part P’ of the Buildings Regulations (England & Wales). Please check with your local authority before installing any electrical wiring. This product is dispatched to you by John Moncrieff. As this item is custom made to order, general lead time is 6-8 weeks. However, we do hold limited stock and aim to deliver this within 48 hours.